Made from knitted nylon with a seamless finish and a fine polyurethane coating over the palm and fingers. Back of the glove is uncoated to provide ventilation to the hand, avoiding perspiration and clamminess. Suited to work where a high level of dexterity is needed along with a good protection factor. Typical applications include packing, inspection and fine component assembly operations. 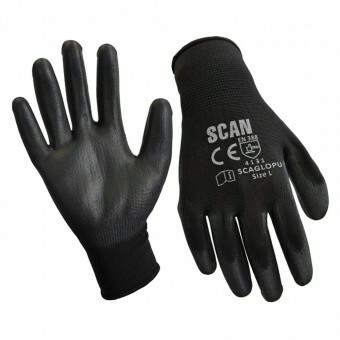 => string(51) "Scan Black PU Coated Glove Size 9 (L) (Pack of 240)"